Think you’re too old to start a business? Think again. The 55+ age bracket is the fastest growing demographic for launching a new business and proves that age is no barrier to entrepreneurship. A recent US study found that almost 40% of Baby Boomer respondents indicated they were interested in starting a business or not-for-profit in retirement. And why not! Retirement provides a wonderful opportunity to pursue your passion on your own terms and earn an income in the process. Why kick back in the recliner if you would rather be doing something else? There are a number of motivators for starting a business after stepping away from one’s ‘real’ career. It might be that you developed a specific or highly desirable skill set during your career and don’t want your skills to lose currency. It might be that you have a hobby and are excited to purpose it with passion, or that you are an empty nester with more time on your hands and want to do something meaningful with your days. Whatever your motivation, why not give it a go! Remember that there is nothing wrong with making money by serving and delivering great value to others. One of the most powerful points of difference that retirees have to offer is the ability to identify with, and respond to, the needs of a fast growing consumer demographic – the Baby Boomers themselves. According to the ABS, at least 15% of the Australia population in 2017 were 65 or older, which accounts for 3.4 million people! Baby Boomers constitute a significant part of the consumer market and are inclined to do business with other Baby Boomers because they ‘get’ them. They think to themselves ‘you’ve been where I’ve been and you understand what I need’. Challenge the stereotypes that retirees are past it and out of touch. Your experience, networks and resilience are just three valuable qualities you will bring to the entrepreneurial world. For the greatest chance of success it is important to ensure you are solving a problem in a marketplace. Who is your ideal client? Can you describe them – what they like doing, how they spend their time, and what is important to them. Do you know someone who fits this description? Chat to them and find out if what you want to offer will appeal to them? Test and refine. Find some more people to speak with. Test and refine again. Take a moment to stop and reflect on your strengths, your proudest moments, the challenges you have overcome and what you are truly passionate about. This will provide a positive foundation to build your business on. Remember that you don’t need to compete with the 20-somethings in this digital age. Offerings do not have to be tech-based to succeed. Identify the problem or opportunity and assess if you have the right skills to respond. If there are any gaps consider if you need to bring in some expertise, be that coaching, outsourcing or upskilling. Don’t be afraid to use your connections and embrace technology. Determine how much money you are willing to outlay, how many items/sessions you need to sell to break even (and better yet earn a profit) and then make that one of your goals. Make the distinction between work and personal time. Remember, retirement is about lifestyle – you don’t want your business to become all-consuming. Set these expectations early and hold yourself to account! One bonus tip – it is not worth losing a friendship over a business. Before you launch a venture with a friend, ensure that your skills are complementary and create some ground rules about how the two of you are going to work together and speak up when things are not going as anticipated. After a long and successful career in recruitment, Lisa* established a personal image business. Through her career she frequently advised on creating a high impact first impression and recognised the importance of feeling good in one’s skin. She also had an amateur interest in styling with friends regularly asking ‘what should I wear to that important dinner’ or ‘what shoes go with this outfit’. Not surprisingly she created a business supporting women approaching retirement to transition from a corporate wardrobe to a more relaxed style. She appreciated that women (like herself) still want to look smart but reflect a new energy in retirement. Lisa has built her business via word-of-mouth, some networking and an online presence. She is conscious of the number of clients she takes on each week as she wants her business to be a joy, not a burden. To her, business is about pursuing something that lights her up (and being rewarded for it!). The Baby Boomers have always been the ones to break the rules and to challenge the social norms. Why should that be any difference in retirement? Why retire in the traditional sense of the word if you’re excited to be doing something else? 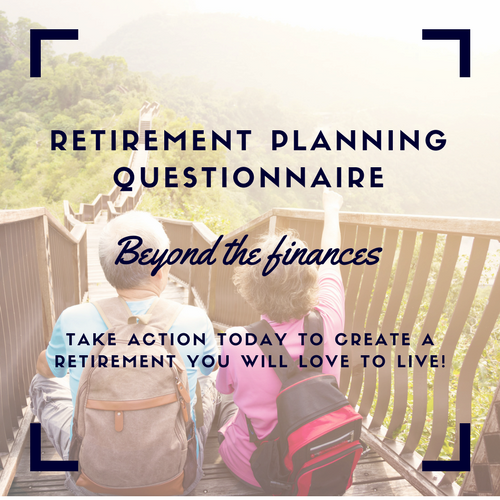 If you enjoyed this article you may also like to read Planning for retirement - is it only about the money, money, money? and What if retirement isn't for me?